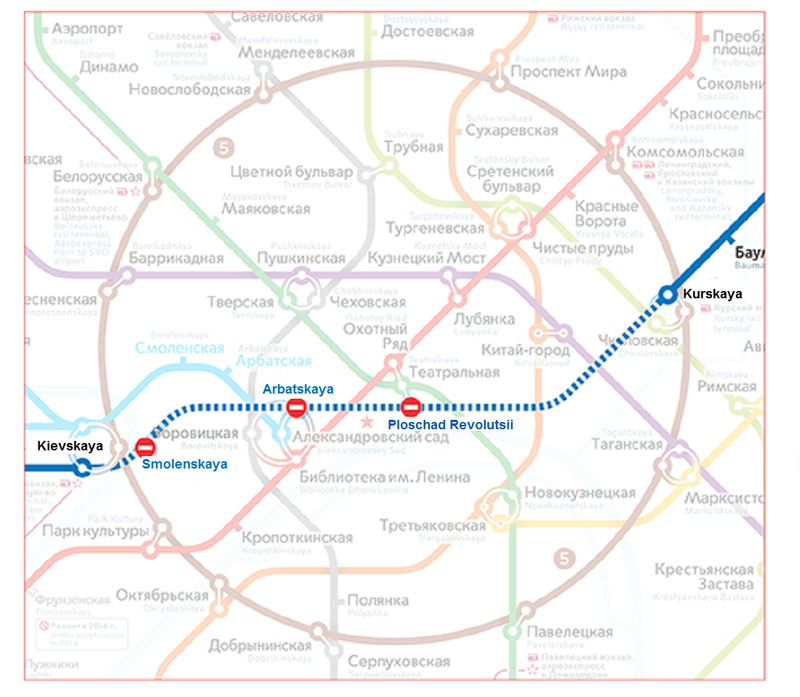 The central part of Kaluzhsko-Rizhskaya line of the Moscow Metro, from Prospect Mira to Oktyabrskaya stations, will be closed for one day on July 25, due to the track overhaul. These are obligatory works provided by service regulations of the Moscow metro. 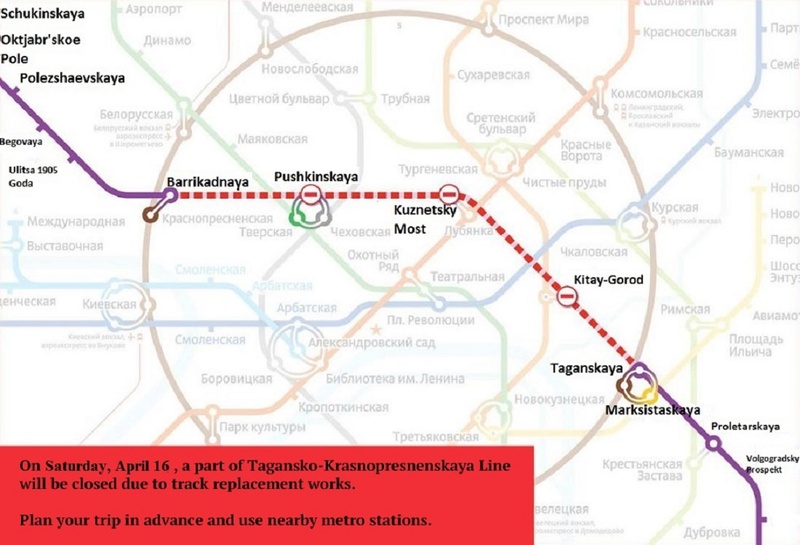 Therefore, Sukharevskaya, Turgenevskaya, Kitai-Gorod and Tretyakovskaya metro stations will be closed. Trains at Kaluzhsko-Rizhskaya line will run only from Medvedkovo to Prospect Mira and from Oktyabrskaya to Novoyasenevskaya stations. Transitions at Prospekt Mira and Oktyabrskaya stations will work in the usual mode. Closed stations will resume their work on March 15 at 5 hours 30 minutes. Passengers are recommended to use nearby subway stations and ground public transport. 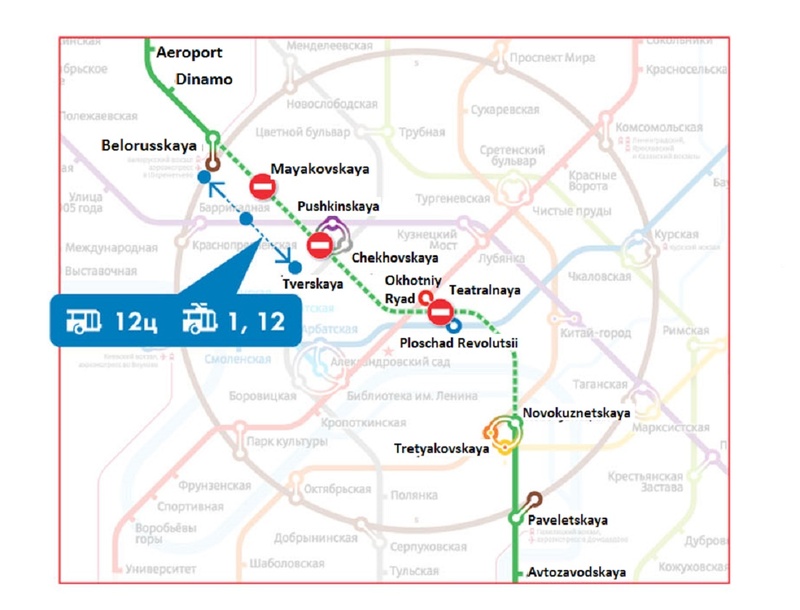 For their convenience, there will be more trolleybuses on routes № 9 and Б, running from Sukharevskaya metro station. The closed stations will resume their work on Sunday July 26 in 5:30 am.